The Centre has appointed Rishi Kumar Shukla as the new Director of the Central Bureau of Investigation (CBI). 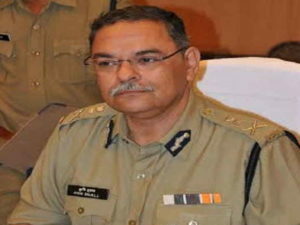 Shukla is a 1983-batch IPS officer of the Madhya Pradesh cadre. He was earlier posted as the Director General of Police at MP. During the second meeting of the committee on Friday, the government is understood to have put forth a few names of officers who could be considered for appointment as the CBI director. However, these names were objected to by Mallikarjun Kharge, who is part of the three-member committee, the officials said. Prime Minister Narendra Modi heads the panel in which Kharge, as leader of the largest opposition party in the Lok Sabha, and chief justice Ranjan Gogoi are the other two members.